Old Whisker’s Sponge Strips | International Bait Manufacturers, Inc. The perfect companion for Old Whiskers Catfish Dip Bait. Eight-inch strips packaged six strips to a package. 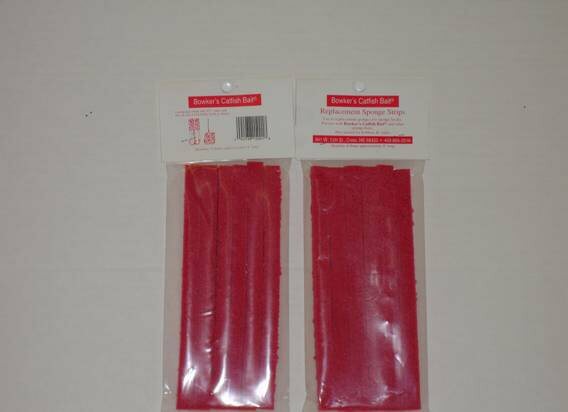 These replacement sponges can be cut into cubes and used to replace sponges used on treble hooks for dip baits. The packages are able to be peg-hooked and are UPC coded. Sponge strips are also available in bulk. Just add some Old Whiskers Catfish Dip Bait and hold on!